The 4th Annual Shenzhen International Chess Open Tournament was held at Center City Park, Shenzhen CBD Book City, on December 6, 2015. The event attracted over one hundred chess players, including expatriates from more than 10 countries. Local organizers of the tournament including Hanbridge Mandarin School arranged for each contestant to receive a “framed souvenir photo” and one “memory book” commemorating the tournament. This contest has been a great success and gained high praise from contestants from all over the world. After winning all six rounds in the amateur contest, Nicolas Liagre from France was named Champion of the tournament. Cyril P. Anicete and James Lebreton won runner-up and third place, respectively. We interviewed Nicolas LIAGRE, who got the first place in 2015 international chess tournament. Hanbridge Mandarin : How about your feeling when you get the first place in this match? 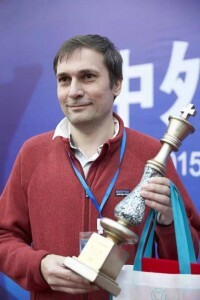 Nicolas: I was happy to get this first place as I only practice chess on internet. This first place encourages me to work more on my opening. Hanbridge Mandarin: How would you describe this international event? Nicolas: This chess event is very rich in term of players’ nationalities. It is a good chance to meet people from different countries. 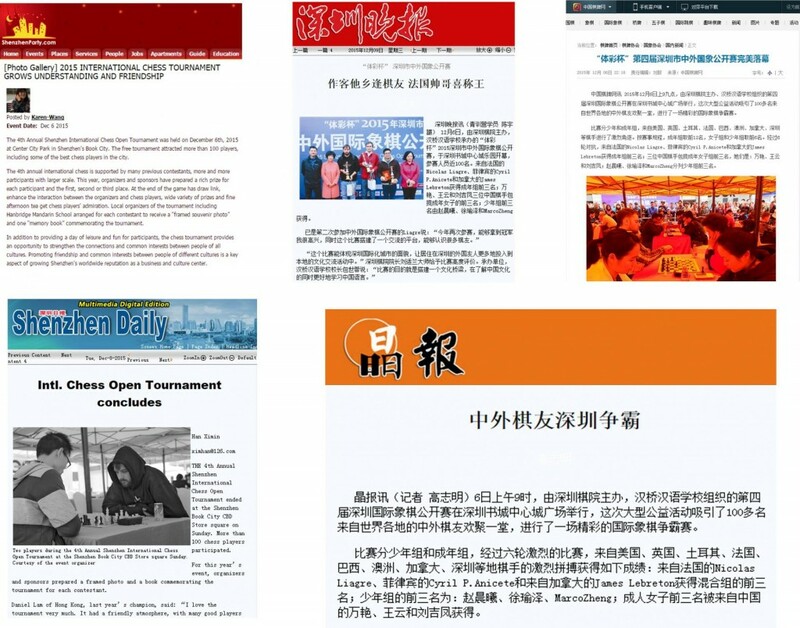 Hanbridge Mandarin: What do you think how this international chess tournament gives the foreigners some help in some areas? Nicolas: It is a good opportunity for us to meet Chinese people outside our work space. I do not know where we can practice chess in China with Chinese people and this tournament gives me this possibility to play with Chinese people. Hanbridge Mandarin: Do you have any suggestions on our future plan of next activity? Nicolas: I love the fact that it is outdoor, we did not have a nice weather like 2014 but it was still good to play outdoor. It will be good if the 5 first tables get electronic board so some top games can be recorded. 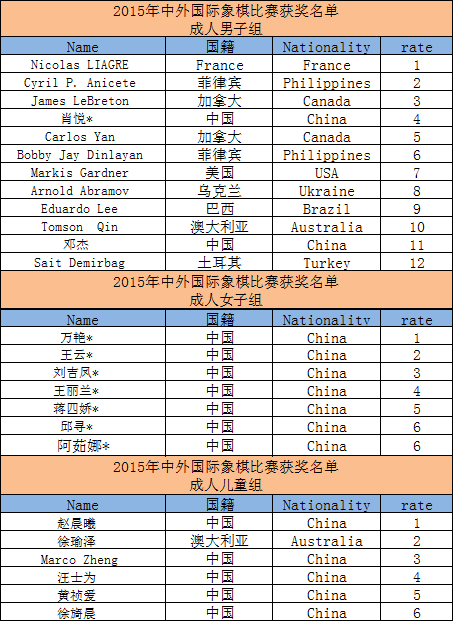 Hanbridge Mandarin: If we hold the 5th annual international chess tournament, you will join it again next year? Nicolas: Definitely yes, I don't want to miss this great tournament. I will try also to motivate my daughter who is 11Years old to come with me to attend the children category. This public event also attracts several media reported and thank you for their support.